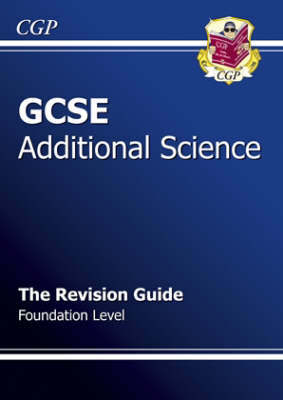 This book is full of clear revision notes and detailed diagrams for Foundation Level GCSE Additional Science students. It covers all the important Biology, Chemistry and Physics topics for the AQA, Edexcel, OCR Gateway and OCR 21st Century exams. At the end of each section there are questions to check what you've learnt plus there's a whole section on exam skills. It's easy to read and revise from - everything's explained simply, in CGP's chatty, straightforward style.